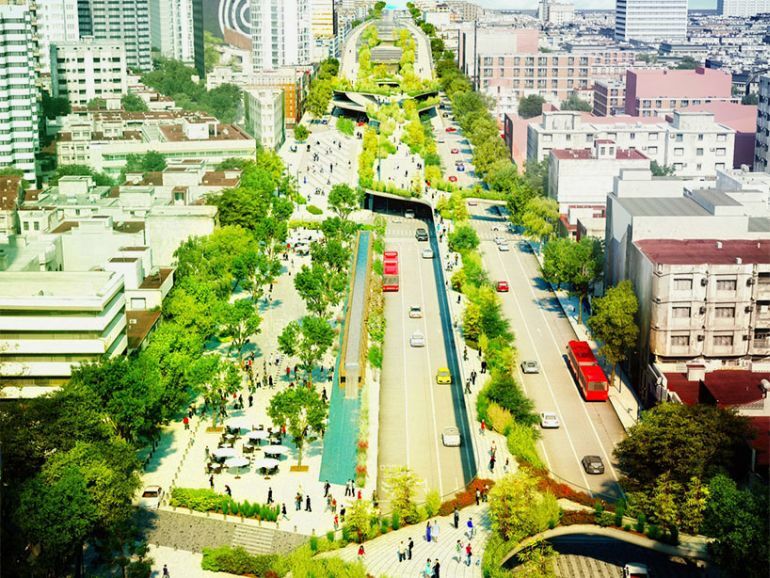 World-renowned Mexican architect, Fernando Romero, has recently unveiled plans to transfigure Avenida Chapultepec region (of Mexico City) into a scenic public park, complete with cafes, plazas, a raised tree-lined promenade and several stunning water features. 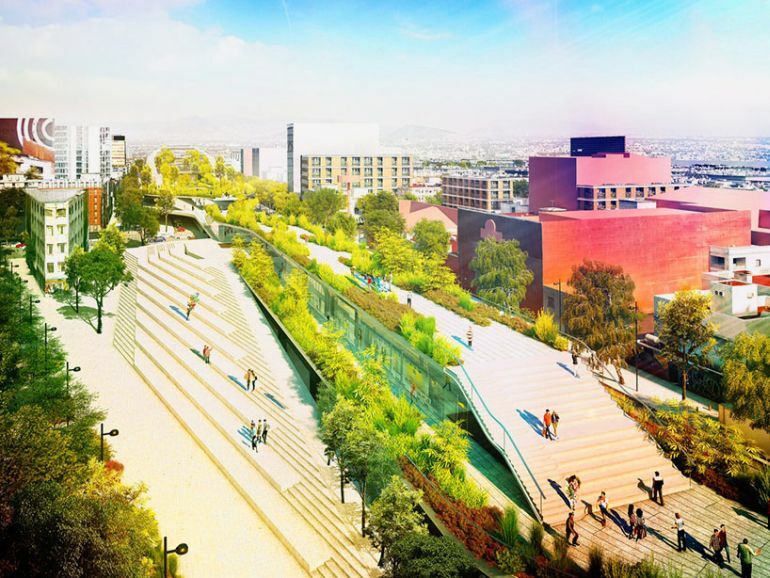 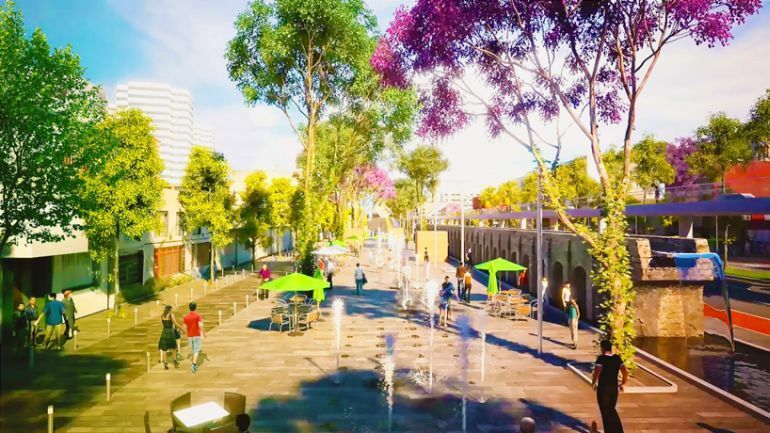 The project, undertaken by Romero’s firm FR-EE in collaboration with FRENTE arquitectura and RVDG arquitectura + urbanismo, aims at revamping the area surrounding the Chapultepec Park and Avenue. 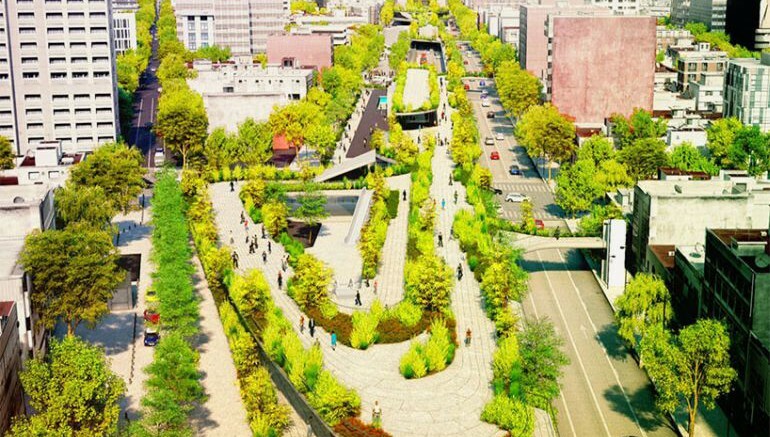 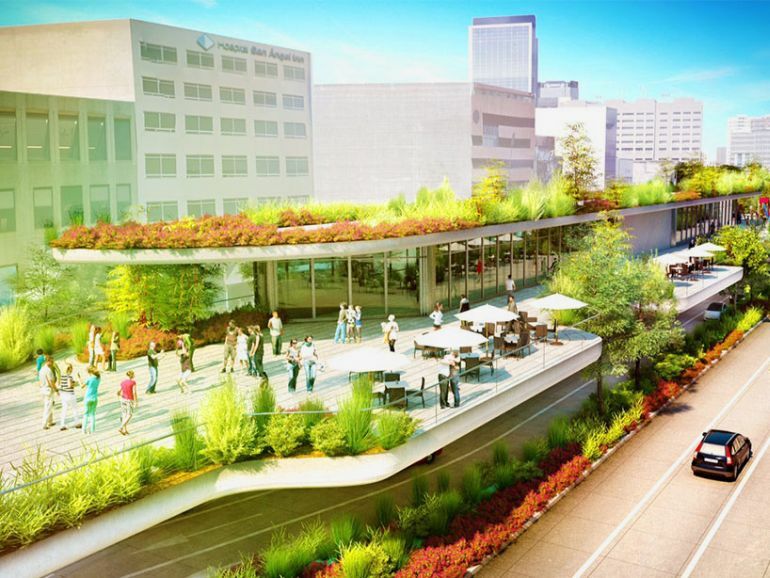 Once complete, the project could help reinvigorate the local economy, while also providing a relaxing public space for the pedestrians. 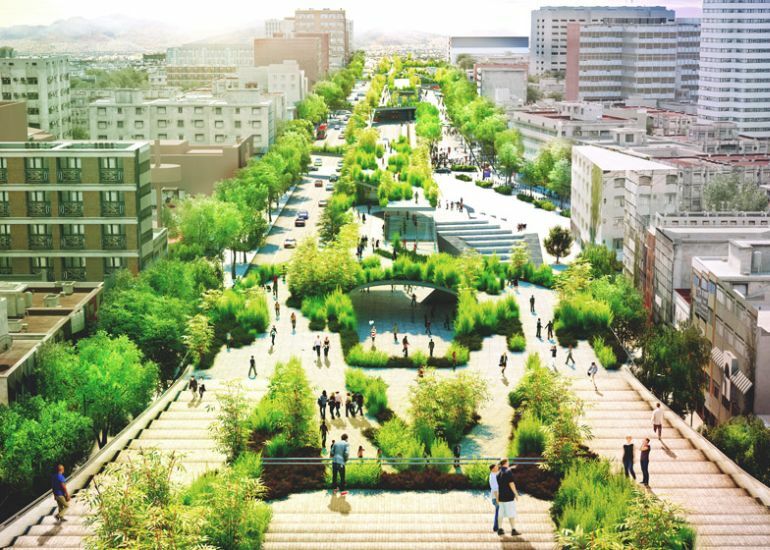 This project will organize the surroundings, will double the green areas, will enhance connectivity and will celebrate the cultural diversity of the city. 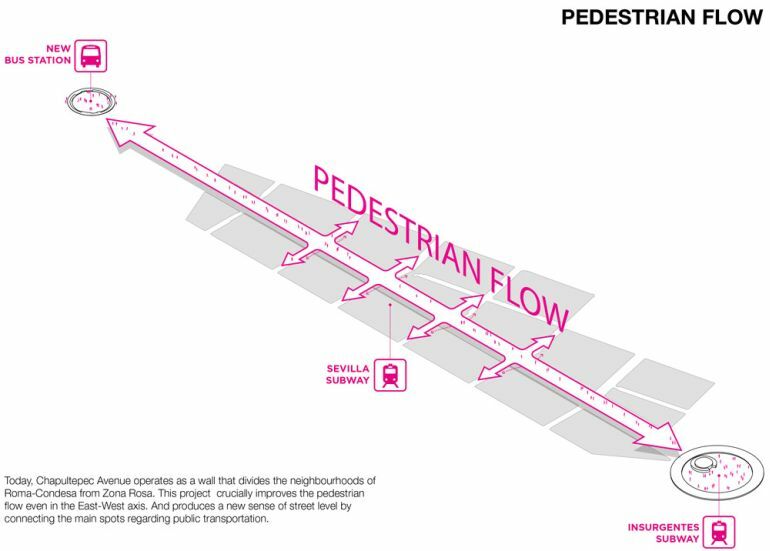 We are taking advantage of the space above the street to create an elevated park and generate a new quality public space for meeting people. 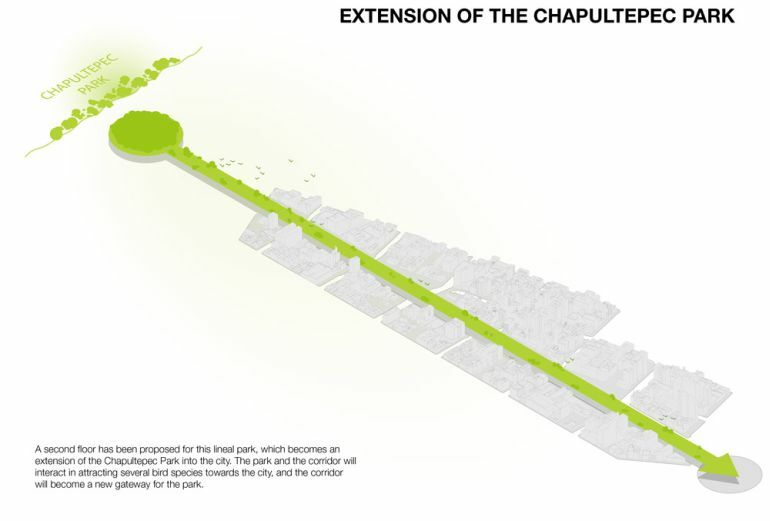 We want the Cultural Corridor Chapultepec to celebrate the social call of public space as a generator of urban life by means of creating a new, exciting, active and multicultural destination. 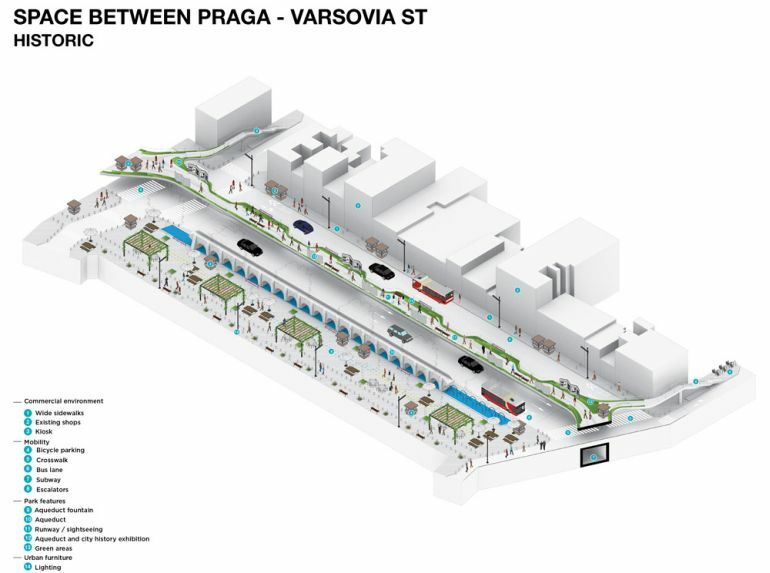 In addition to new bus lanes, the proposal includes plans for separate pathways for skaters, cyclists, strollers and wheelchairs. 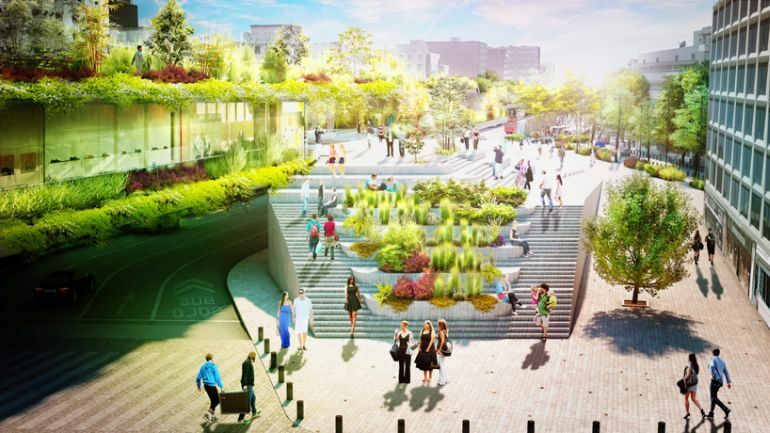 The developers have also made provisions for sheltered terraces and a variety of enchanting water features. 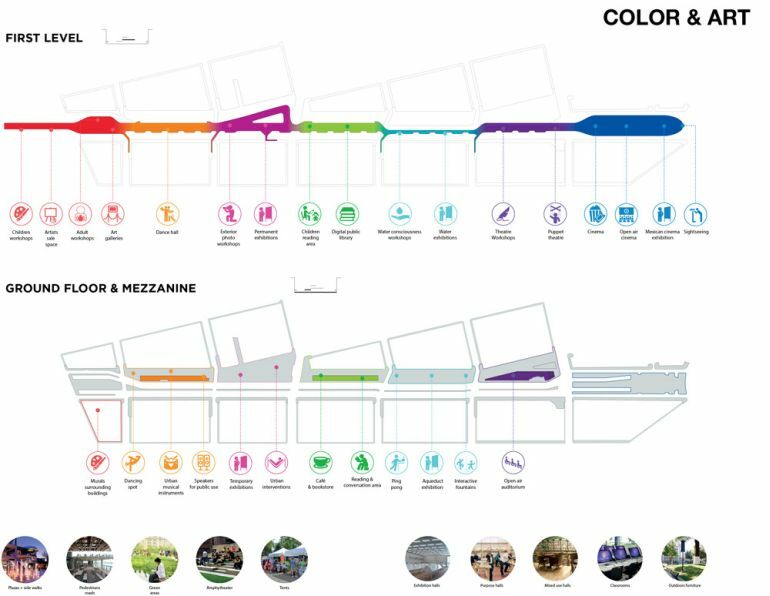 According to the team, different parts of the park will be distinguished using unique color coding. 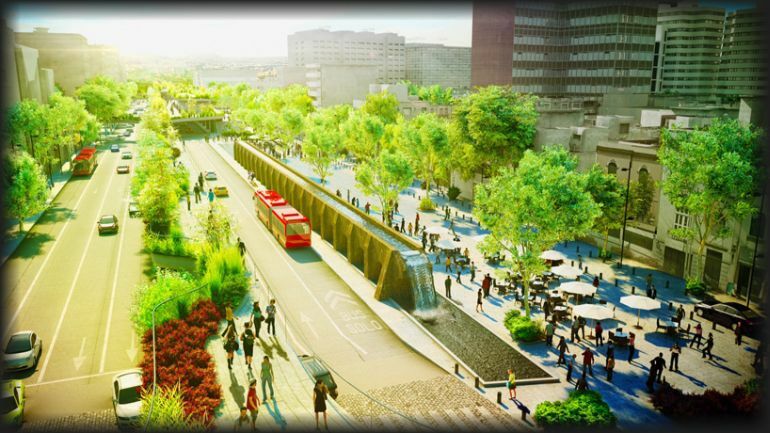 To know more about FR-EE and its projects, visit the firm’s official website.